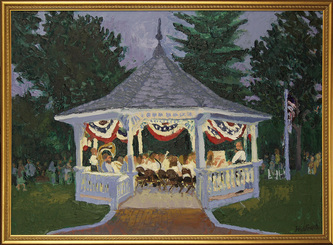 Wherever you live - if you look around, there is scenery worth slowing down for, pause and take a second look at. Lunenburg have many places that are dear to me. 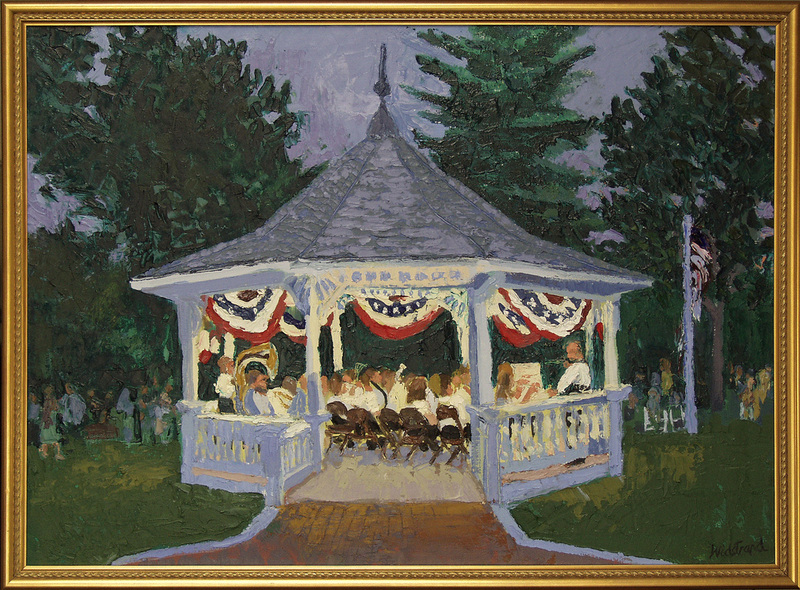 The Gazebo on the Common is where locals gather for free Band Stand Concerts on balmy summer evenings; enjoyed by all age groups. 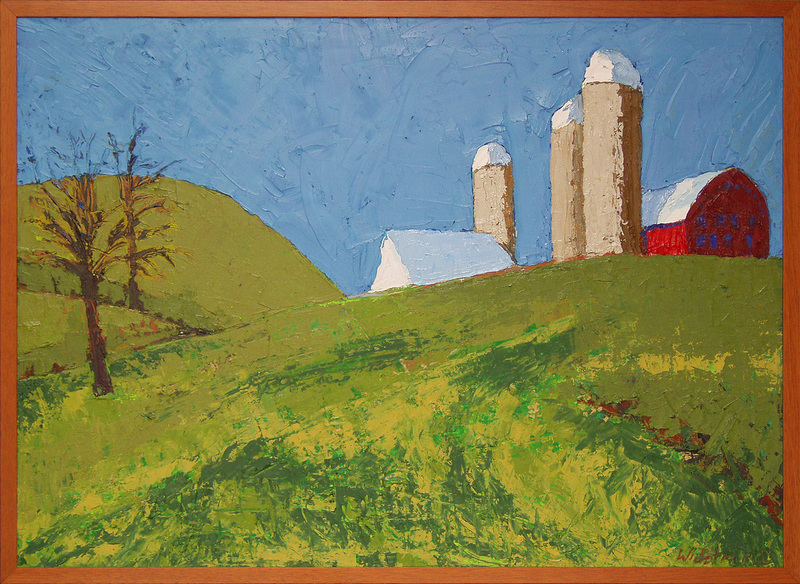 Cherry Hill Farm, one of Lunenburg's two fully operational milk farms, was captured in the spring when the grass had just turned green, but the trees were still bare. 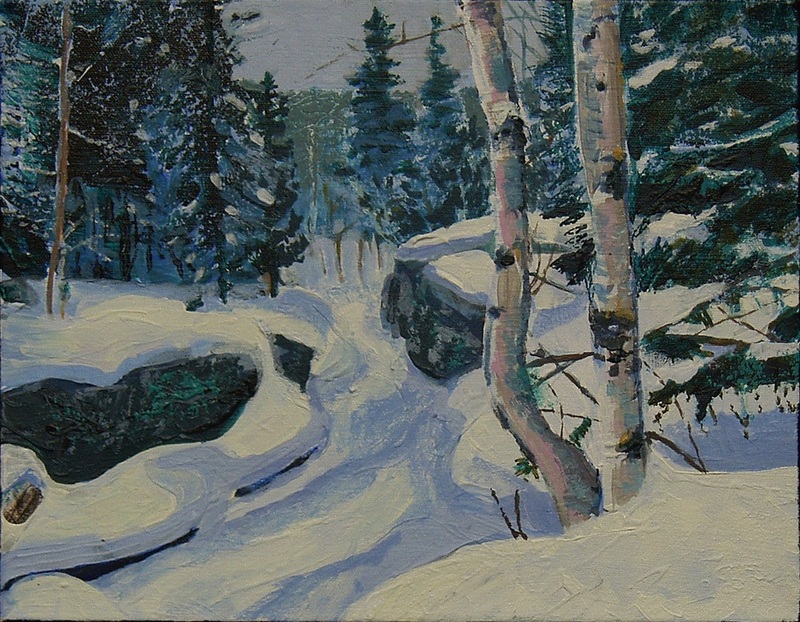 The frozen-over creek with birches is up at Mt. Washington, it was really cold when I was there. The ski trails at Saima Park is a special painting for me. 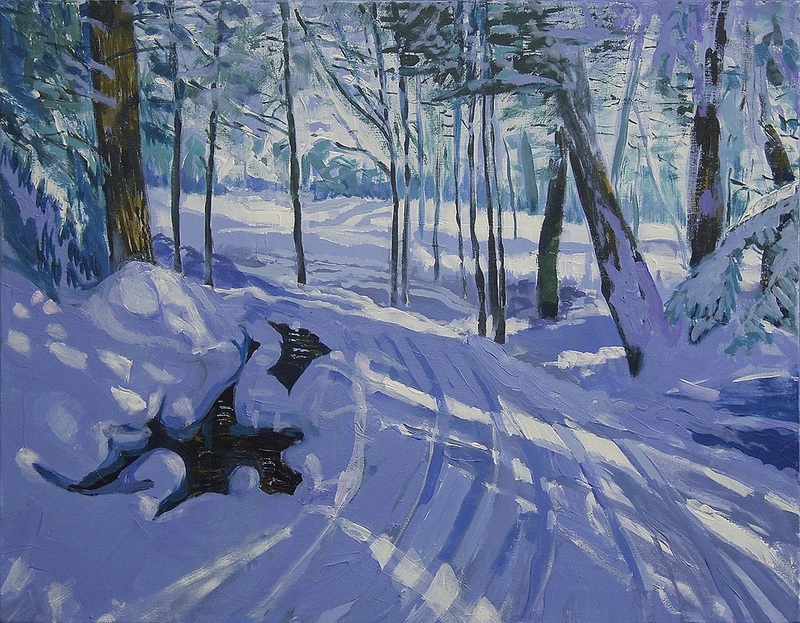 That painting is alive - when fully lit, the sun is breaking in between the trees. But when the painting is dimly lit, you get a sense of a moonlit night out on the ski trails. 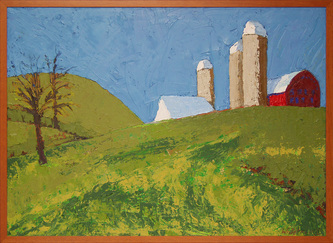 The panorama of Stillman Farm was painted during the 2006 Lunenburg Landscapes event and shown at the Juried Exhibition, Lunenburg Public Library, Lunenburg, MA. The rolling hills with the pond finally: if you have driven MA Rte 117 through Bolton - this place is opposite where the Annual Bolton Fair is held. A small oasis where people stop for a coffee and a break. 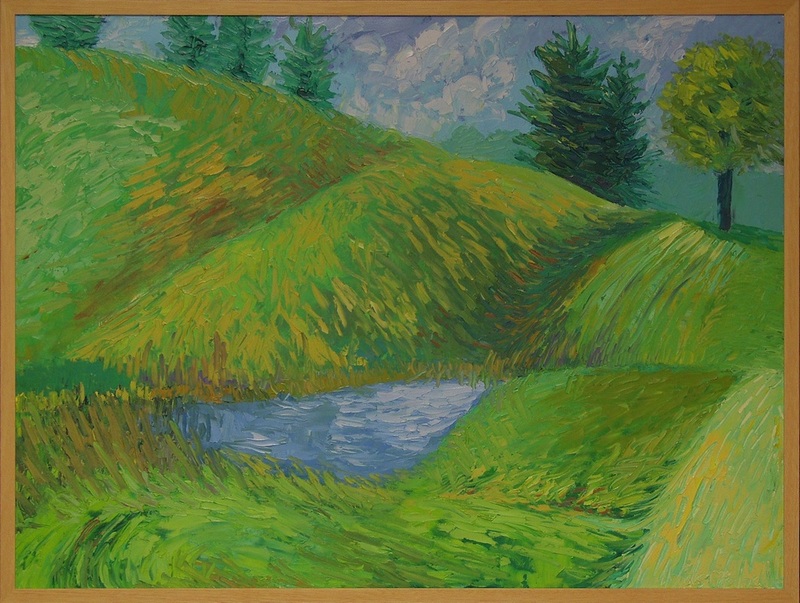 Oil on canvas 37" x 27"
Oil on canvas 66" x 26"